This level has medium difficulty. 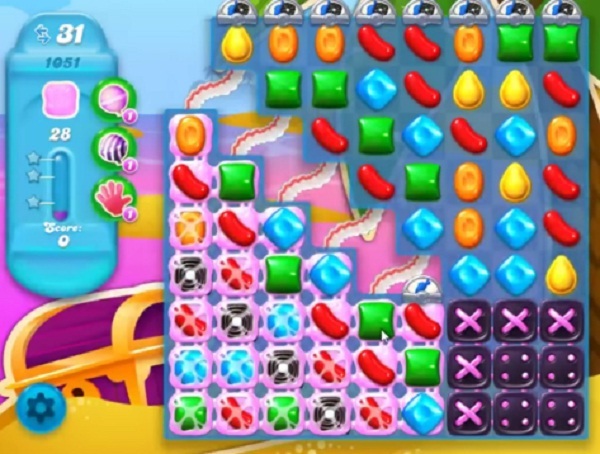 For this level try to play from right top part of the board and make special candy as you get the chance. Try to make striped candy and combine them with each other to break more gums. Or play near to gums to break them all. What is with this stupid game, I have 21 moves and am getting nowhere, yet up above the video shows 31, this is happening all the time now, isn’t everyone supposed to get the same moves, that is if this game is supposed to be fair like it claims to be, ridiculous and a waste of time, looks like i’ll be packing it in for a while like I’ve done before, also uninstalled jelly crush because it was unfair.